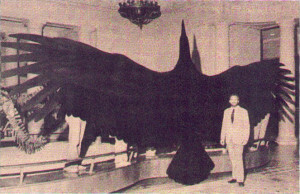 Argentavis magnificens was one of the largest flying birds ever known. They inhabited the earth 6 million years ago, during the late Miocene. It was an early relative of Andean Condor. Argentavis magnificens’ humerus was a bit shorter than an entire human arm. They had large feet and strong legs. This species also had a slender and large bill along with a hooked tip. 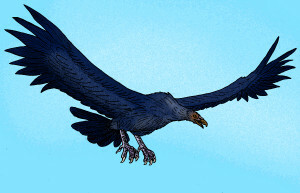 Argentavis magnificens inhabited an area of around 500 km2. Researchers believe that they were less aerodynamically suited for predation compared to their closest relatives. They used north-south direction to avoid being slacked by adverse winds. Fossil sample suggests that they were found in central and northwestern Argentina. Some researchers believe that this bird had a much wider range than what has been currently discovered. It is also worth mentioning that a closely related species, which was also as huge as Argentavis magnificens, lived long in North America’s west coast. 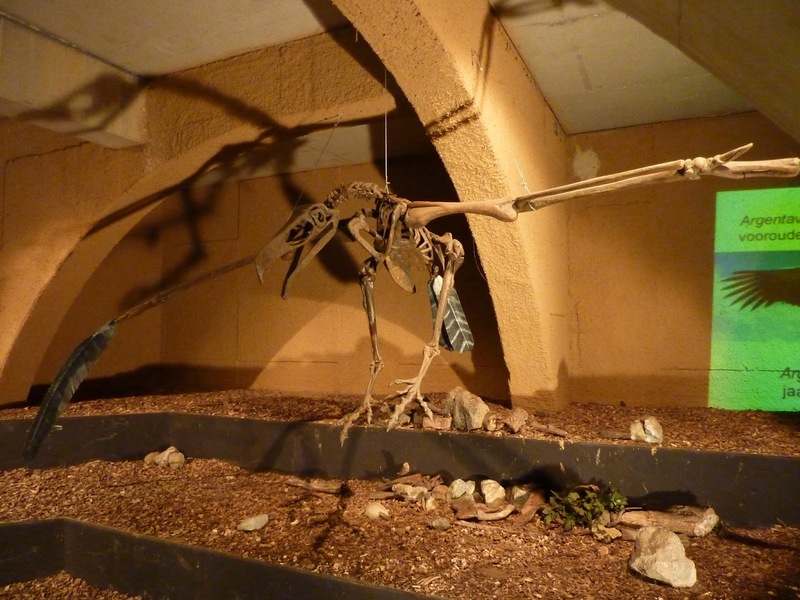 This bird laid one or two eggs (weighed around 2.2 pounds each) in every two years. It is likely that they incubated during winter. Pairs exchanged duties for incubating and securing food for days. The young ones reached maturity at the age of 16 to 18 months. It is believed that disease, accidents and old age might have led them to extinction. They hardly went through any predation. Mortality rate was also very low. Less than two percent population died every year. Even though they had huge wings, still they did not have the stamina to flap them continuously and generate enough lift. They relied upon wind currents for taking off and landing. Modern research says that it was an expert glider rather than a great flyer. Their weight was as much as sixteen bald eagles. The heaviest flying birds are known to weigh around 46 pounds, such as the African kori bustard and European great bustard and the mute swan that briefly lost its power of flight because of its weight. Published on June 16th 2015 by admin under Birds. Article was last reviewed on 16th June 2015.